Residence across from the 17th fairway of Cherry Hills. This property is an estate sale. No sign. This has not been on the market in over 50 years. 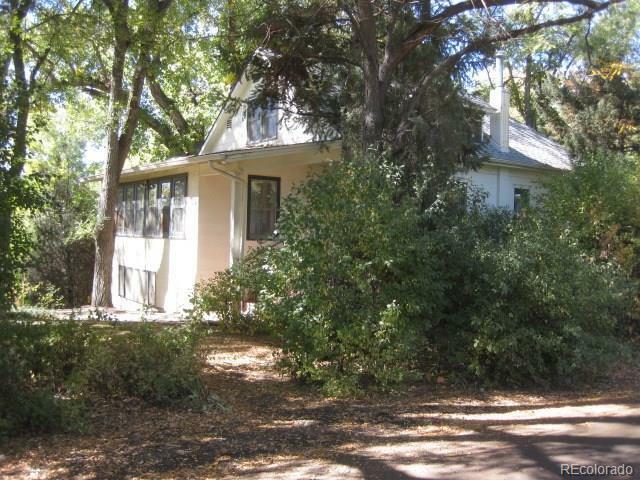 One of the original farm houses in Cherry Hills. Just over 2 acres with a lot backing to Little Dry Creek. The lot is a rectangle shape. Zoned for horses. There is a 12x20 building on the back of the lot used over the years for tackle and hay. Cherry Creek Schools. The existing home requires total renovation but is livable as is, but is likely a tear down. The property is an estate and the seller/broker has no disclosure on the building. Note that part of the lot is on a flood plain and would require flood plain development if built on that part of the lot. The existing house is NOT in a flood plain. Call for more information for serious buyers. Note two houses on this street just sold for $2.1 Million, and $2.3 Million. Both are properties backing to Little Dry Creek. County valuation is at $1,347,400.